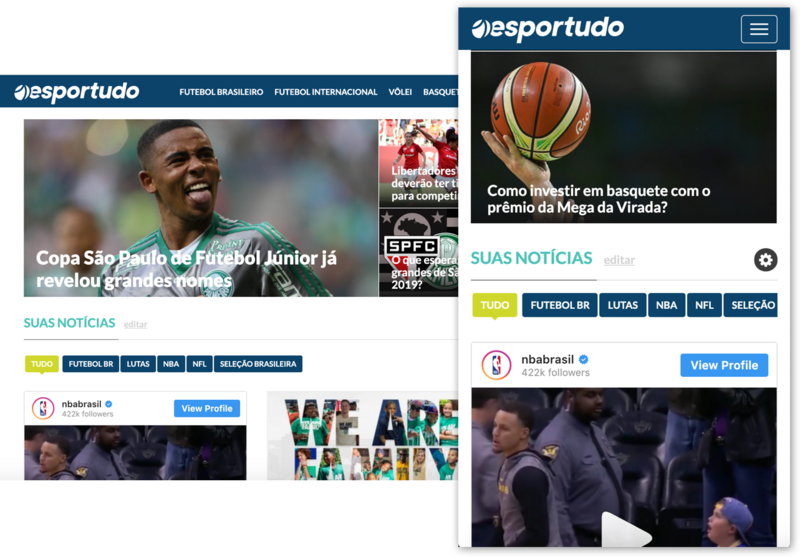 In an effort to reach tens of million of Latin American sports fans, Esportudo needed to redesign and develop their application ecosystem. NorthOut was thrilled to partner with a emerging media leader from the ground floor to tens of million of monthly pageviews. From first designs to a million users we had their team’s back. NorthOut’s executive and extended team got involved from day one across Esportudo’s mission to reimagine sports media. This means we helped create a long term strategy, interview teammates and truly align with the core team. Leveraging cross functional experience, we developed a technology architecture strategy, provided design expertise and outlined engineering plans to launch in multiple countries at scale. From developing a hybrid application with deep personalization features to accelerating API layer feature launch, our diverse engineering skills came to bear through a successful launch. For unique founders and companies, we’ll create co-located teams to drive speed and knowledge share. Today, Esportudo’s leadership team works directly at our HQ as they scale globally. Our engineering team built for today but planned technology for massive scale. Leveraging the latest in AWS toolkits like serverless computing, edge serving and autoscaling, we enabled unparalleled growth. NorthOut’s personal and organizational network spread far across potential customers, investors and advisors. We got in the weeds as Esportudo raised funding, signed its first customers and built its growing team. We’ve loved working with the NorthOut team across functions. They really lean when it counts. Their application KPIs from pageviews to time on site dwarf rivals and serve tens of millions of content pieces to global users in multiple languages. Esportudo is the first Latin American sports application to enable deep personalization while also providing access to original and integrated 3rd party content. Expanding your early stage company presents unique challenges – NorthOut can be a trusted ally as you take on the incumbents.